Art usually takes time. Mine takes years! 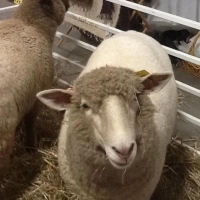 It starts with raising the sheep with love.. gently sheering their wool, sending it for dye processing in the most environmentally friendly way possible, and finally reunited on the farm to be woven by hand into artful and useful creations. 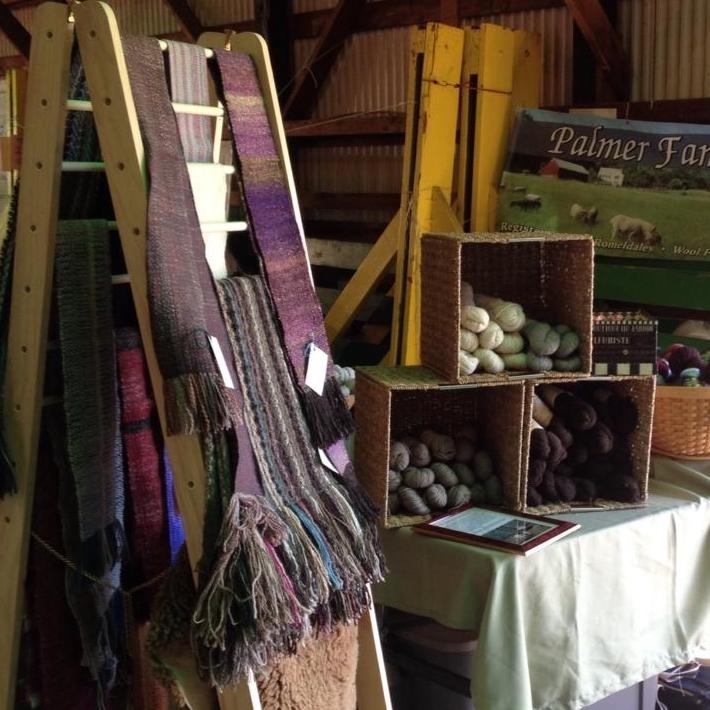 Ever wonder what is usually on Margaret's Palmer Family Farm? 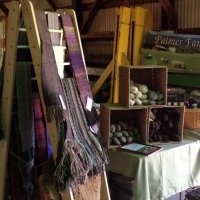 Raw fleeces, roving, yarn, wool products and some sheep (maybe a few other citters too). The entire farm is really her studio in one fashion or another when you raise your own art supplies. Maragret is an active patricipant in her 'raw materials' used for artful weaving and spinning. She is an avid participant of the CSBA Sheep and Wool Festival, the New England Fiber Fest, Tolland Farmer's Market, and several craft shows or by appointment year round. About the Sheep - California Variegated Mutant (CVM) is a rare breed sheep noted for its fine quality and softness. 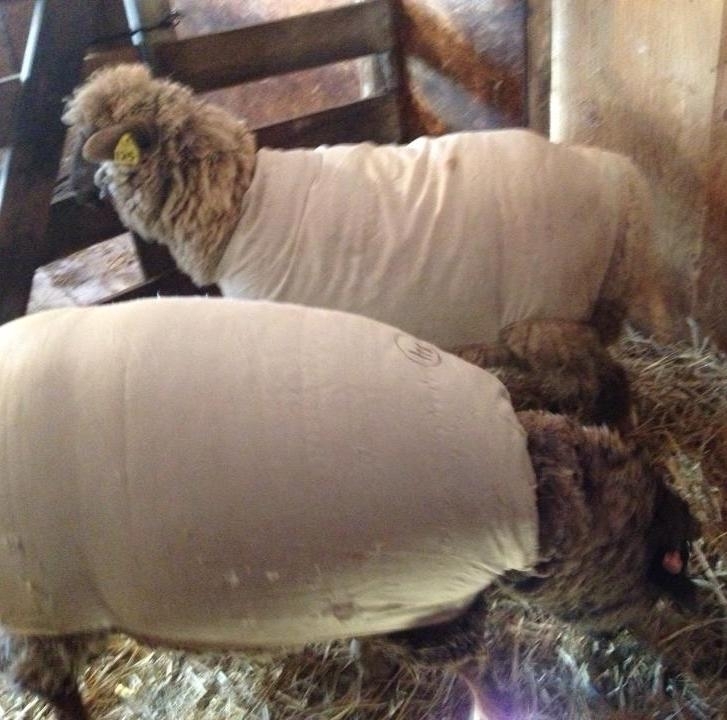 The wool is so soft it can be worn next to the skin. 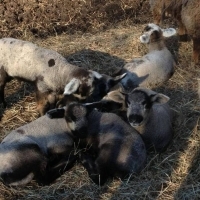 The sheep produce a range of colors from white, cream, to grays and browns. It is important to Margaret that the wool is processed in an environmentally sound mill. 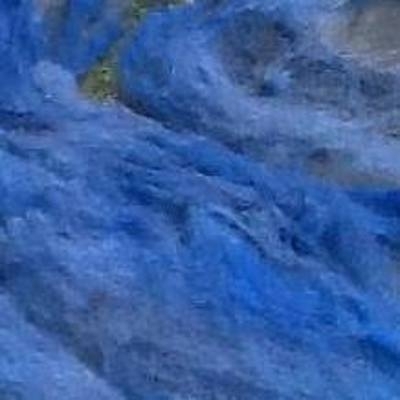 It is safe for washing, is biodegradable, and the dyes are ingested completely into the wool and the water that is disposed of is clear. The mill processes the wool into roving for skeining and various grades of yarn. 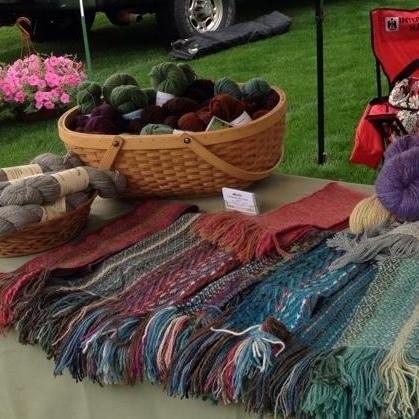 Some is hand woven into treasures, such as towels, scarves and other items. 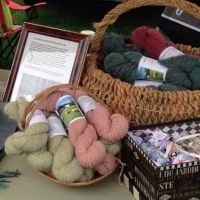 Yarn for your pleasure. Yarn and artistic handwoven items available.